The Rutgers Department of Intercollegiate Athletics will welcome the newest members of the Rutgers Athletics Hall of Fame on Saturday, Nov. 15 when the Scarlet Knights football team takes on Indiana. Members of the Class of 2014 include football's Shaun O'Hara and the 1961 undefeated team, Courtney Turner, the first Scarlet Knight gymnast to qualify for NCAA Nationals, and baseball's Charles B. Garrett Sr.
Shaun O'Hara, a Super Bowl champion, was born in Chicago and grew up in Hillsborough, N.J. He attended Rutgers from 1995-1999, where he walked on to the football team and became a three-year letterwinner. O'Hara was a two-time recipient of the David Bender Trophy, which recognizes Rutgers' top lineman. In 2000, O'Hara began his NFL career as an undrafted free agent with the Cleveland Browns, and he went on to start 38 of 54 games for the Browns over a four-year period. 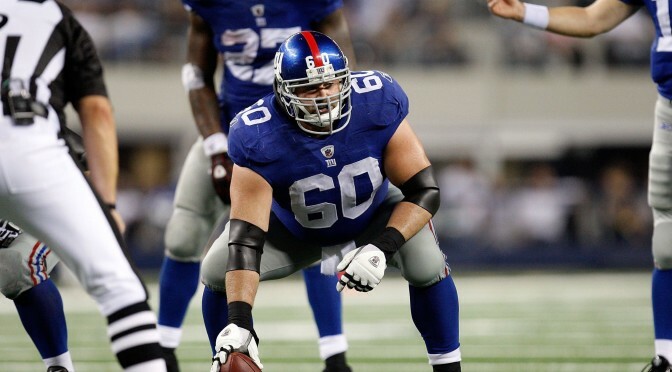 After leaving Cleveland, he signed with the New York Giants and was selected to the Pro Bowl three times at center (2008-2010), and earned Sporting News First Team All-Pro honors in 2008. O'Hara's 2007 season was capped off with a Super Bowl XLII win against the then-undefeated New England Patriots. He retired from the NFL after playing in 151 games with 135 starts in the league. Currently, O'Hara works as a football analyst for the NFL Network, Big Ten Network and ESPN Radio.